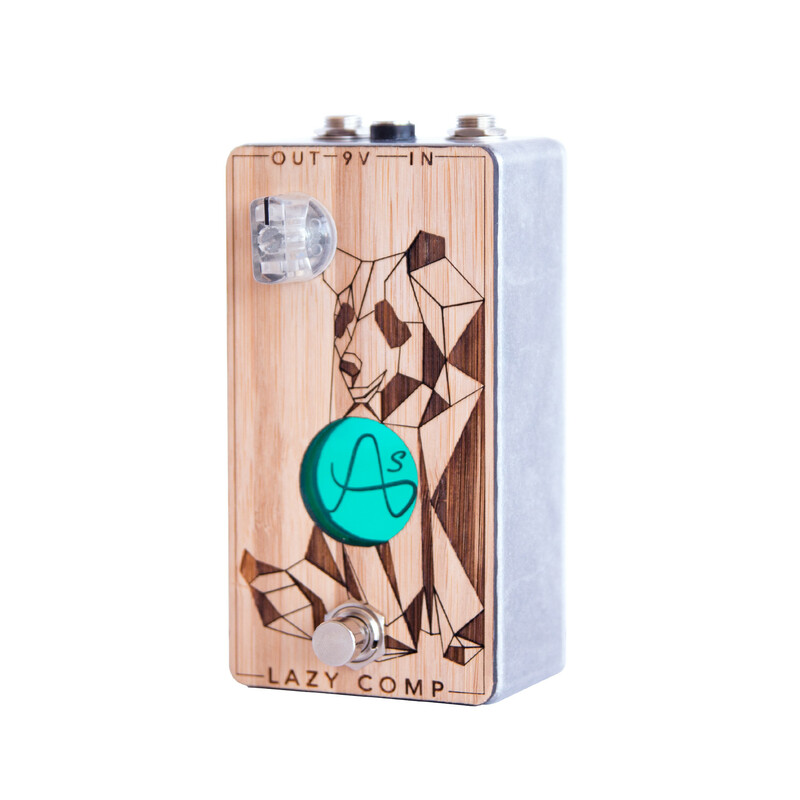 the lazy comp is an optical compressor, fully adjusted upstream by us. On the front, there is a single setting: the mix (dry/wet), it… mixes clean sound and compressed sound. 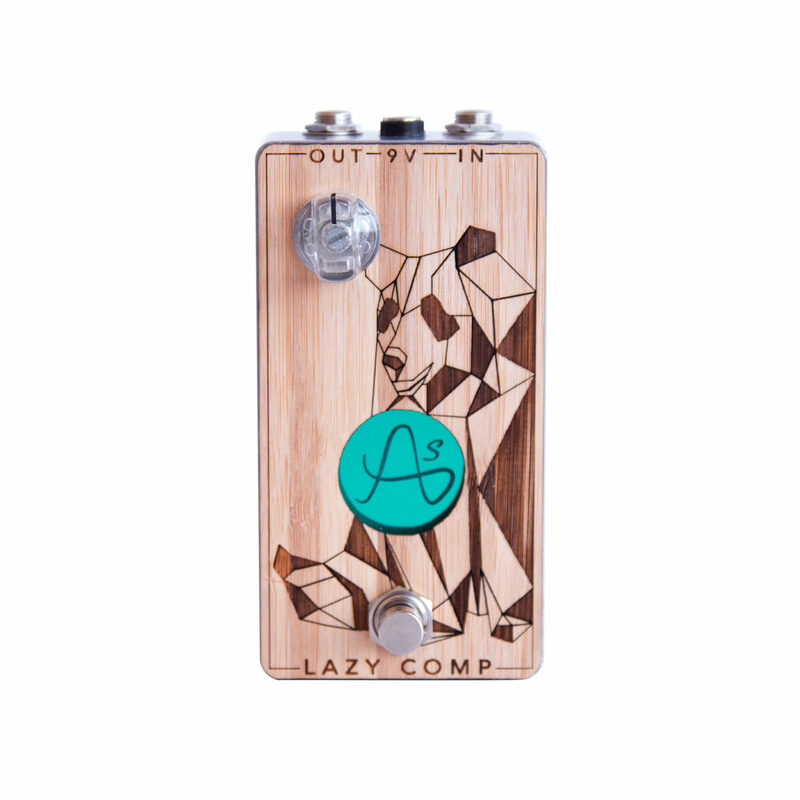 the lazy side of the pedal refers to the fact that this is a plug & play compressor, just turn the mix potentiometer to find its happiness. 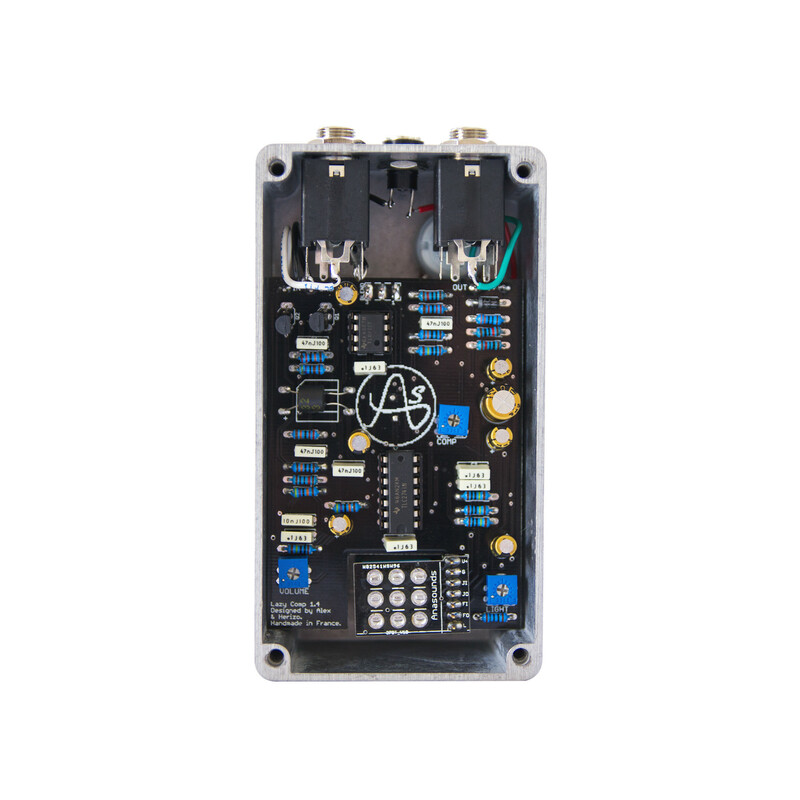 9v dc, negative polarity. supply is filtered inside the pedal to avoid hum.